This will happen 290 this week at your house; what is it? It was found in a recent study that your refrigerator door will be open approximately 290 times! 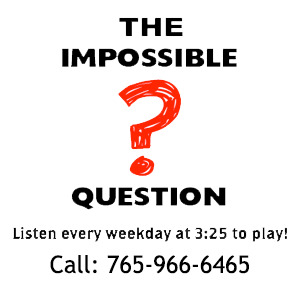 Congratulations to Tom Ragan of Centerville, IN for being the first to answer the Impossible Question!